She didn't get a proper American debut until the TNT network's remake of Salem's Lot (2003). 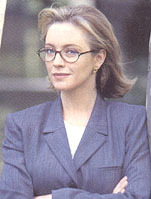 Lucky Australians, however, have gaped at Rebecca Gibney in over twenty Halifax f.p. TV movies, in which she plays an Armani-clad forensic psychologist. 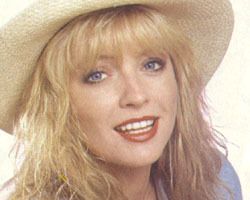 The New Zealand-born beauty originally made the transition from modeling in Among the Cinders (1985), where she fueled the dry drama with some asstastic acting.